Leading chartered accountancy firm, Newby Castleman, has helped one of Leicestershire’s fastest-growing family businesses to open a new state-of-the-art facility. Geary’s Bakeries has been working with Newby Castleman for decades – as far back as the days when the firm was run by current Managing Director Jason Geary’s grandparents. Newby Castleman provides audit, tax and statutory compliance services to the firm. The Barrow-upon-Soar based business has added more than 50% to its production capacity since 2010, after buying up two additional units neighbouring its main facility to keep up with demand. 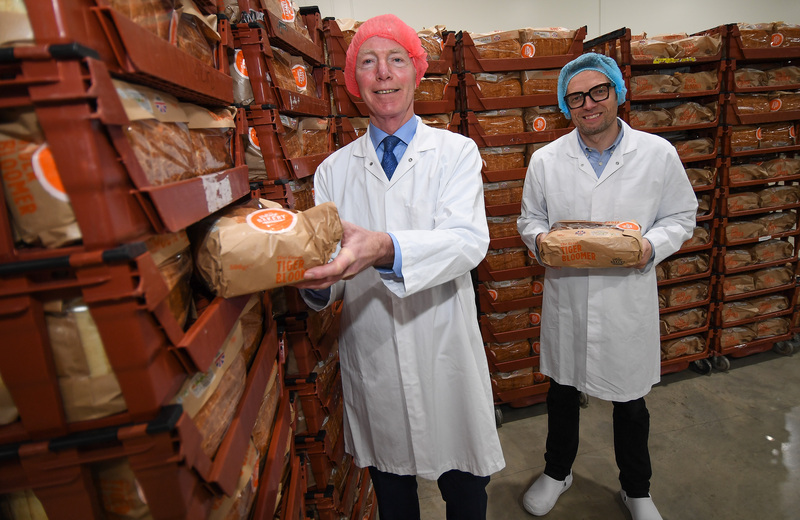 Having won a major contract with one of the UK’s largest supermarket chains to supply its craft bread, Geary’s Bakeries now produces over 25m loaves a year, prompting a £15m investment into a new 60,000sq ft baking facility at Glenfield which began production late last year. This extra capacity will allow them, in time, to quadruple their present output. As with previous acquisition deals involving the head office and then with subsequent units, the firm turned to its long-standing partner Newby Castleman for advice and support. “We’ve always had a very good relationship with Newby Castleman, we know we can ask anything of them and they do a thorough, professional job every time. “They provided us with support and assistance at a key stage of our company’s reorganisation, when we moved to new headquarters in 2010. The business has grown exponentially since then and Newby Castleman have played a vital role in helping us to manage the challenges that are associated with that in terms of handling our finances. “We are very excited about the move to our new facility in Glenfield, which presents us with the chance to achieve further growth and build on our first-class reputation. We’ve been able to rely on Newby Castleman’s support and advice whenever requested, which has been important in enabling us to tie up the acquisition of the new premises. “We pride ourselves on building deep, lasting client relationships, immersing ourselves into their businesses and ensuring that not only are they fully compliant in all areas, but they have the best financial set-up possible in order to facilitate growth.